The first step to be taken before any creation of a business is to make sure you have the correct requirements. A business license is often required for the creation of a business, but this may vary state-to-state and even county-to-county. In the state of Florida, many industries require a license. Depending on the category of your business, you may either need a DBPR (Department of Business and Professional Regulation) License or a DACS (Department of Agriculture and Consumer Services) License. To further research what licensing agency you need to go to for your license, you can visit the State Library of Florida’s state agency directory. I have my license – now what? After receiving your business license, the next step in the business creation process is identifying the type of business you plan on starting. This will determine how to form your business and how you will need to proceed in terms of tax forms and business tax receipts. A corporation is an independent legal entity that exists separately from the people who own, control and manage it. The owners have limited liability and a corporation can enter into contracts and pay taxes. Like a corporation, an LLC offers limited personal liability. However, an LLC is not required to hold regular stockholder or management meetings, and there are no requirements to comply with other corporate formalities. A partnership exists when two or more persons co-own a business and share in the profits and losses of the business. Each partner contributes something to the business endeavor, financially or physically. What is the difference between a general and a limited partnership? In a general partnership, the rights and responsibilities of the business are divided equally among the partners and the partners can act on behalf of each other due to this. A limited partnership allows each partner to determine and/or limit his or her personal liability. Unlike general partners, limited partners are not responsible for the partnership’s actions, debts and obligations and limited partners do not have the right to manage the business. A sole proprietorship is an unincorporated business owned and operated by one individual with no distinction between the business and the owner. Sole proprietorships, when not operating under the owner’s legal name, must register a fictitious name with the Division of Corporations. After having retrieved your license and identified your business structure, you must form the business and apply for an EIN. Depending on your type of business, you will need to file articles of incorporation, articles of organization, or different partnership to the Division of Corporations in order to form the business. the person applying must have a valid Taxpayer Identification Number (TIN). You must register your business before you collect, report, and/or pay the following taxes. In order to register your business with the Department of Revenue, you must complete the registration form which can be found online here. Once you register the business with the Department of Revenue, then you must register with the Internal Revenue Service (IRS) and determine which taxes your business will be collecting, reporting, and/or paying. Where and when should I register the business to the Department of State? If your business is a corporate entity or under a fictitious name, you must register it with the Department of State. As mentioned, if your business is a sole proprietorship and you will not be using the owner’s legal name, you must register under the fictitious name that will be used. Sales tax applies to the sale, rental, lease, or license to use goods, certain services, and commercial property in Florida (unless the transaction is exempt). If your business will have taxable transactions, you must register with the Department of Revenue before you begin conducting business in Florida. Reemployment assistance gives partial, temporary income to workers who lose their jobs through no fault of their own and are able and available for work. Employers pay for reemployment assistance through a tax administered by the Department of Revenue. If your business meets the criteria, you must register with the Department. Corporations and entities that do business, or earn or receive income in Florida, including out-of-state corporations, must file a Florida corporate income tax return (unless the business is exempt). Other taxes administered by the Department of Revenue include communications services, documentary stamp, fuel, gross receipts, insurance premium, pollutants, severance, and solid waste and surcharge. 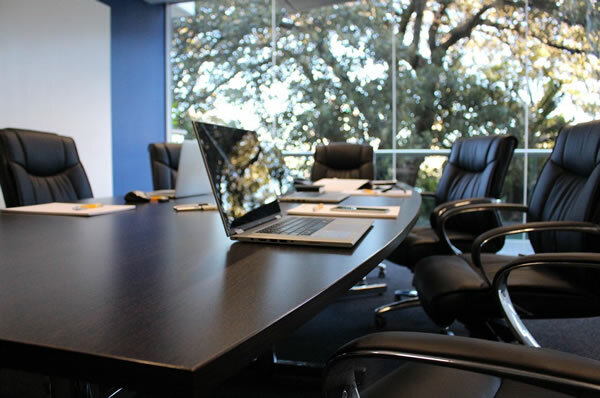 If you are considering starting a business in Florida, we encourage you to seek legal advice. The decisions you make during your business formation will likely impact your business in the future. Call our experienced business formation attorney in Orlando today and mitigate your risks! We are available at (407) 502-3000. You may also fill out the online form provided on this page and we will contact you shortly.